AS scientists fight to prevent a nuclear explosion at the Fukushima power plant in Japan the Detail brings you inside the bunker where Northern Ireland’s VIPs will escape to in the event of an atomic explosion. We reveal exclusive pictures of the shower rooms where First Minister Peter Robinson and Deputy First Minister Martin McGuinness would wash away radiation in the event of a nuclear attack. We show the bunk bed dormitories which politicians such as Sammy Wilson and Gerry Kelly would be expected to sleep in if Northern Ireland was under attack. We show the special canteen where Ulster Unionist leader Tom Eliott and SDLP leader Margaret Ritchie would share special tins of beans, sausages and powdered eggs. We also reveal the specially-built TV studio where the survivors of a nuclear attack would broadcast to the hundreds of thousands left above the ground. Work on the bunker, officially known as the Regional Government Headquarters (RGHQ), began in 1987. Two other bunkers were planned for Craigavon and Omagh but were never built. 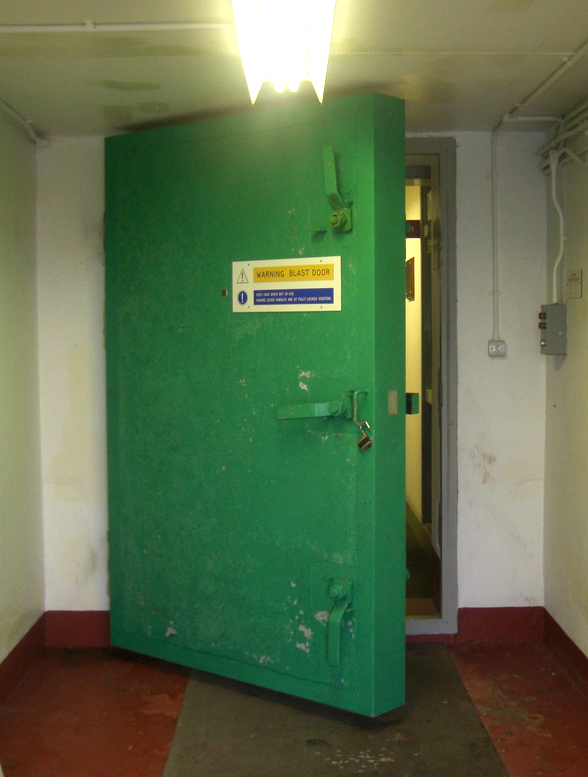 The Ballymena bunker, which became operational in 1990, was designed to hold 235 people, including Northern Ireland’s top VIPs. Amateur Cold War historian Alastair McCann, who has been inside the underground installation on three occasions, explained how Northern Ireland’s VIPs would survive inside the underground unit for months. “The walls are around one metre thick with steel re-enforced concrete,’’ he said. “It’s pretty self-sufficient with its own water and power supplies. “There are ration packs, a lot of which are still stacked up on the shelves. 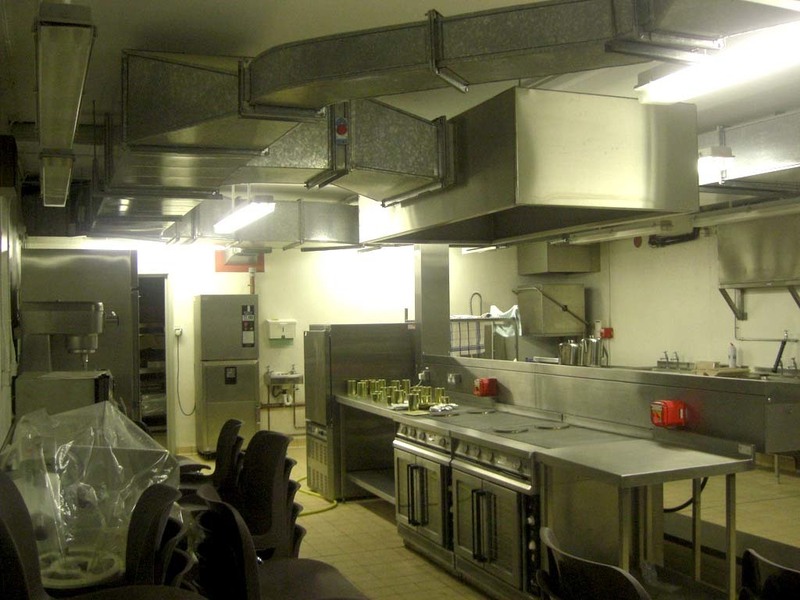 “There’s a fully stocked stainless-steel kitchen, which wouldn’t look out of place in a top modern hotel. “There’s a big canteen and seating area. “There are two floors about the size of two football pitches, two external stair cases. “The living quarters and offices are on the first floor and on the second floor is the communications hub. “It has a full BBC broadcasting studio, five or six offices and 10 or 15 dormitories with bunk beds in them. But why was an industrial estate in Ballymena chosen as the safe haven for Northern Ireland’s elite in event of a nuclear attack? “I think the reason they built it there was because it had good road access from Belfast,’’ he said. “It was far enough away to survive if Belfast was hit by a nuclear bomb. “It wasn’t near anywhere important, particularly military installations. But despite having only been completed 20 years ago the British government is understood to be eager to sell off the Ballymena bunker because of its huge running costs. “The air conditioning has to be kept going all the time. “It has to stay at a certain temperature at all times or mould will start to grow and the cost will plummet. But the amateur historian revealed that there are still dozens of disused bunkers hidden across Northern Ireland, which until 20 years ago were being used to monitor the nuclear threat from Russia. After World War II there were 44 bunkers built across the north to monitor the threat of nuclear attack. The bunkers, which were manned by volunteers from the Royal Observer Corp, were situated 10 miles outside towns and villages. Each bunker reported back to a main monitoring headquarters bunker at the British army’s Thiepval Barracks near Lisburn. Bunkers could be found on the outskirts of Hillsborough, Portadown, Lurgan, Ballyhanich, Ballymena, Downpatrick, Ardglass and Newry. The fall of the Berlin Wall and the end of the Cold War in 1991 led to the underground listening posts being quietly mothballed as the nuclear threat eroded. However the terrifying killing capabilities of modern nuclear weapons mean that bunker installations like Ballymena are hopelessly ineffective. A report released by the Russian government five years ago revealed how 10 nuclear warheads had been aimed at Northern Ireland during the Cold War. The top secret documents revealed that the warheads would have hit Belfast’s two airports, St Angelo’s airfield in Enniskillen, Ballykelly army barracks and the former US naval facilities at Lishally in Co Derry. RAF facilities at Bishopscourt near Downpatrick were also open to attack. The Sperrin Mountains, which were believed to house US Navy transmitters, were also to be targeted. “If they had been launched the weapons would have probably killed half of the population,’’ explained Alastair McCann. “There would have been weeks and months of radiation after that. “There’s little point in even having the bunker now because today’s nuclear weapons would obliterate everything. “There are enough weapons on planet earth to destroy it 30 times over. While a civil contingencies plan exists to deal with any major emergency in Northern Ireland Alastair McCann says that the question of how to protect the entire population has never been properly addressed. “There was no provision for the public; it was never completely sorted out. “The loss of life would have been horrific in any nuclear attack. “MI5 is supposed to have a bunker at its new base at Palace Barracks in Holywood. “But it’s not really for nuclear attack and is more to prevent against a chemical attack. “There’s the old civil defence headquarters in the grounds of the Stormont estate. “It was closed in 1968 but continues to be kept in moth balls in case it’s needed. “But the nuclear threat and how Northern Ireland would have survived is a recent history that no one really knows much about. 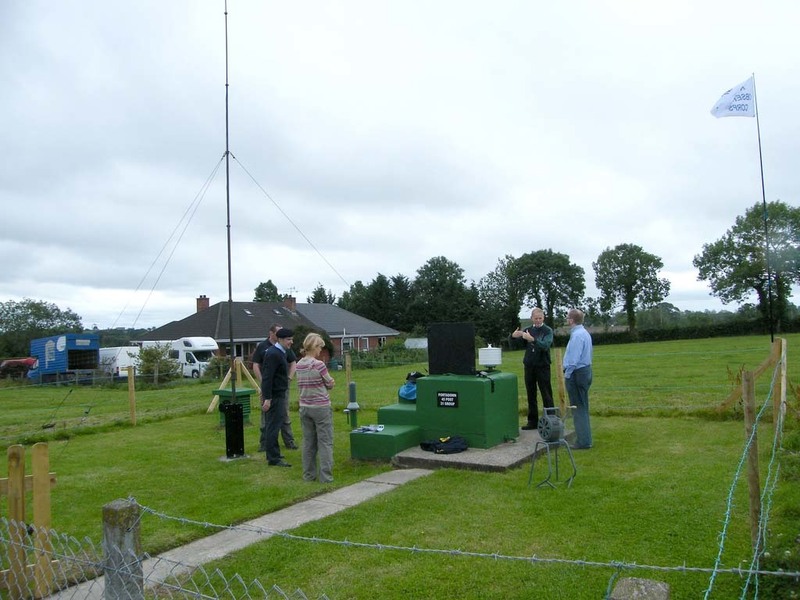 “People are quite surprised when you tell them that the little green box in their back garden is actually a nuclear bunker. 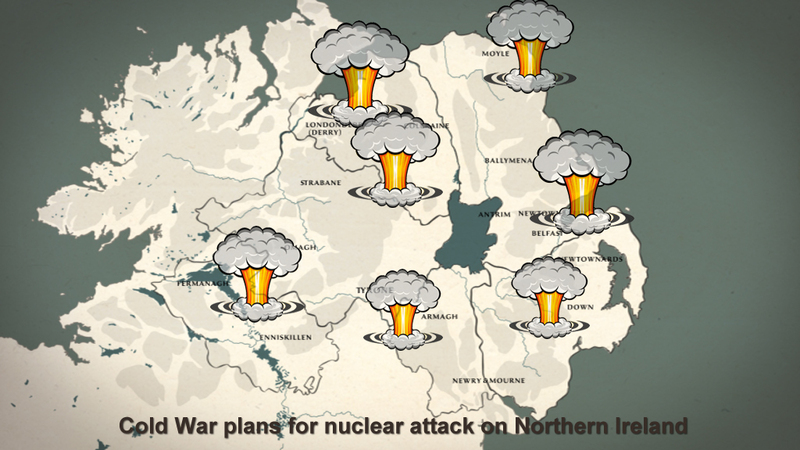 But could Northern Ireland cope with the fallout from a nuclear catastrophe today? It is only a year since volcanic ash from Iceland brought Northern Ireland to a virtual standstill for weeks on end. Exactly 25 years ago this month contaminated rain from the nuclear explosion at Chernobyl in the Ukraine fell on hills in Derry and Antrim. The implications for local farmers were not realised for more than a year. In September 1987 then Agriculture Minister Lord Lyell announced a ban on the movement and slaughter of sheep from the Glenshane Pass in south Derry and Glenwherry in Co Antrim after tests showed that some animals had dangerously high radiation levels. Several thousand sheep were immediately put into “nuclear quarantine”. For nine years after the Chernobyl explosion sheep in south Derry and Antrim had to be tested and marked before they could legally be moved outside the quarantine zone and sold at market. The restriction was not eased until 1995. A full lifting of the ban did not come until April 2000.